Here's an interesting project from Amy of While Wearing Heels. 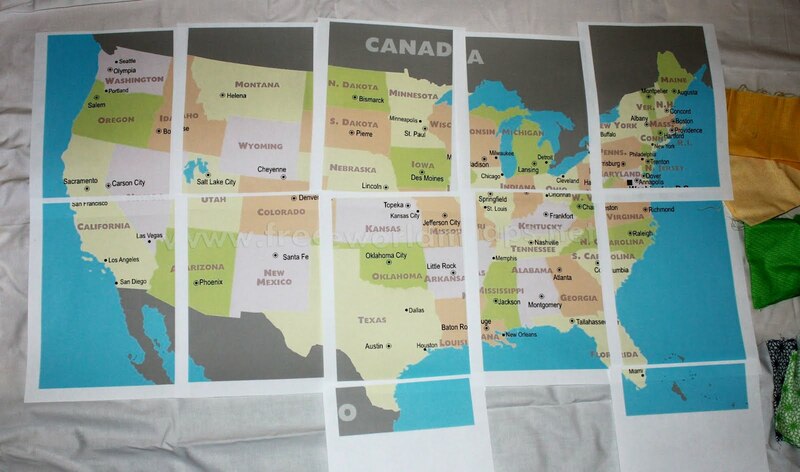 She has created a great method for piecing that allows you to take virtually any image and enlarge it, and then cut out your pieces to make your quilt. 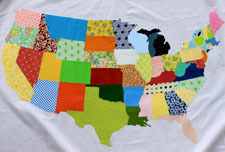 In this case, her chosen theme ties in nicely with the glow we still feel from Independence Day: she enlarged a map of the United States and pieced each state into her quilt! Please take a look at Amy's website for many more wonderful projects with an emphasis on do-it-yourself creativity. Enjoy!